I know you want to, but try not to lick your computer screen! I really wish that smell-o-vision was a for real thing like in the old cartoons, because the smell of these Garlic Parmesan Truffled Fries is unbelievable. And believe it or not, they are so easy to make. 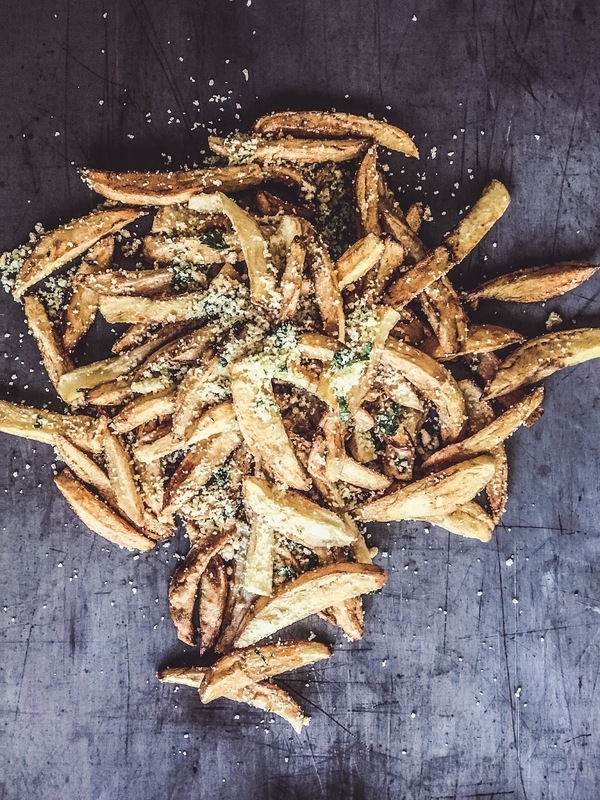 Prepare the garlic, parmesan, and truffle salt a little before, cut up the fries, and then when it’s time to serve fry them up (or bake if that’s your choice), toss, and enjoy. They are the ultimate tailgating recipe. 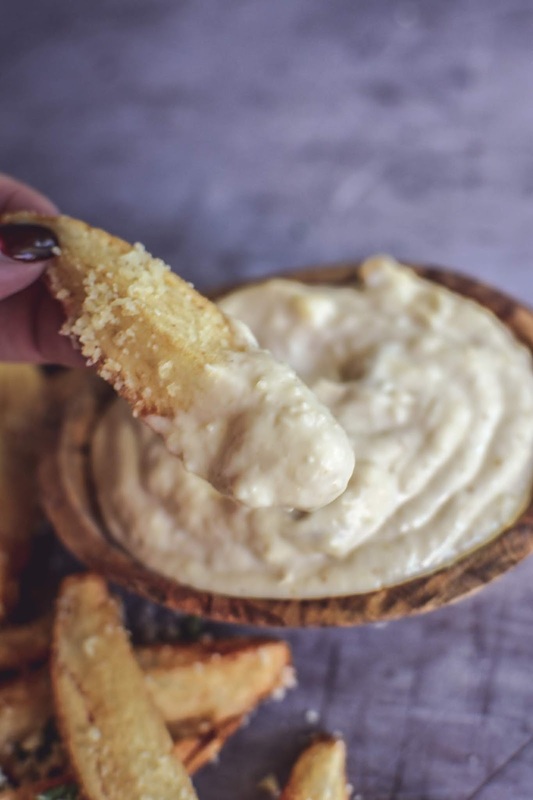 I promise it will take your tailgate to the absolute next level and it will be legendary (in the world of fries anyway). 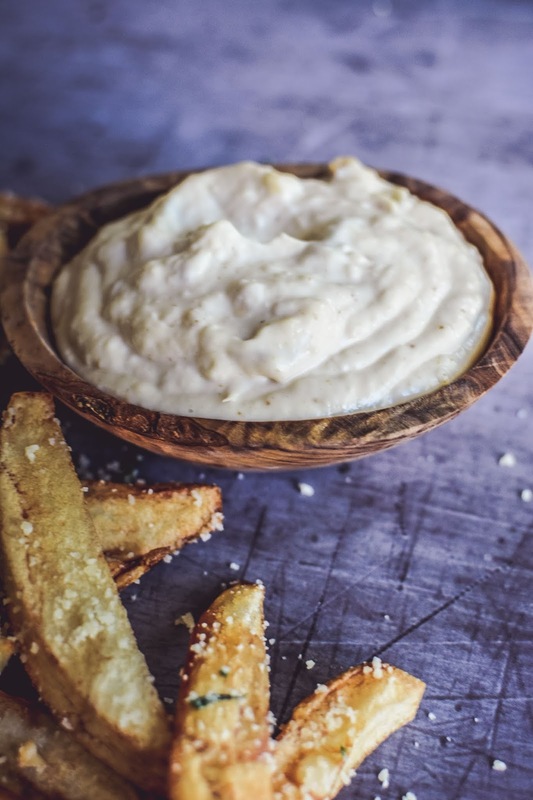 No french fry is complete though without a decadent, flavorful dipping sauce and this Roasted Garlic Aioli is the perfect companion. In a small pan, heat the olive oil over low heat. Add the garlic and cook for 10 minutes being very careful not to burn the garlic. Once the garlic has cooked, remove from the heat and allow to cool. Add the cooled oil and garlic to a small bowl. Add the Parmesan cheese, truffle salt, and half of the parsley. Stir to combine. Place in the refrigerator until ready to use. Heat the oil over high heat in a large Dutch oven to 350℉. Fry the potatoes for about 15 minutes until golden brown and crispy. Remove from the oil and drain on paper towels. 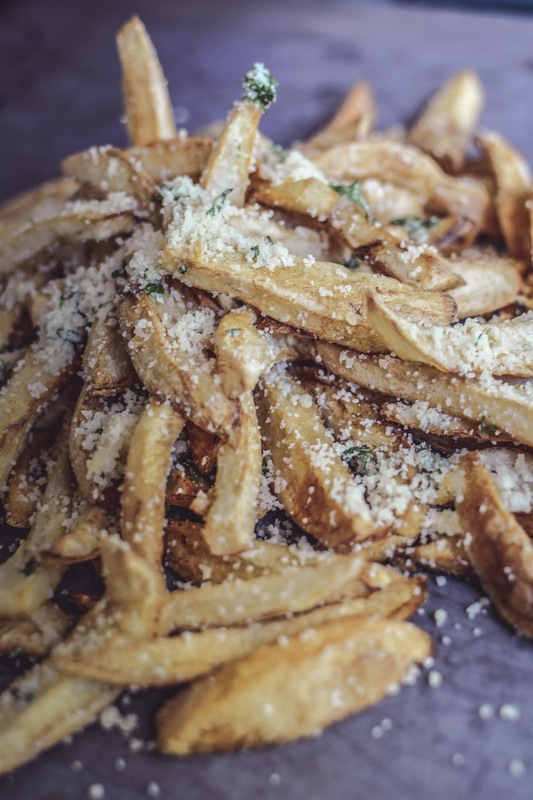 Once all of the fries are cooked, toss with the truffle salt mixture. Heat the oven to 450℉. Place the garlic on a piece of foil and drizzle with the olive oil. Cook for about 1 hour until the garlic is soft and golden brown. Remove from the oven and allow to cool. Add the remaining ingredients in a small bowl. Once the garlic has cooled squeeze the garlic from the pods and place in a small bowl. Mash with a fork. Add the mashed roasted garlic to the mayonnaise mixture.